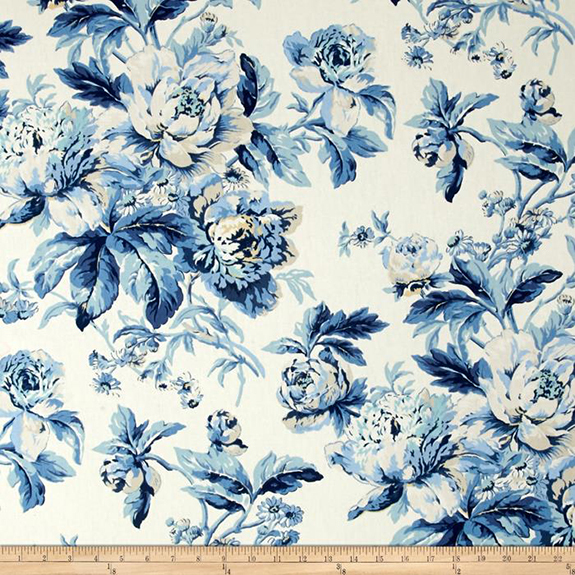 Every so often, I dip into a fabric search for the brand Waverly. Always affordable, I find that it usually delights me with some winners. This time, blue and white fabrics caught my eye. Fleuretta Bluejay - On my immediate short list to cover a pair of (imaginary) club chairs. Has a bit of a Pyne Hollyhock flair. Monkey Jars Tide Pool - Singerie at its best. I will say, monkeys are not my jam, but I get it if they are yours. And these are adorable. Not to mention the blue/white porcelain. 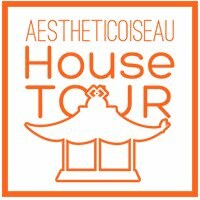 Are you a Chinoiserie lover with a breakfast nook that could use a window valence or some pillows? Here you go. 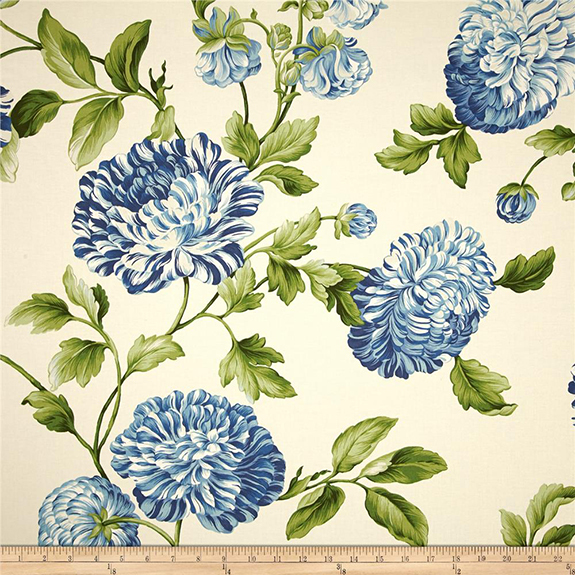 Williamsburg Charlotte Twill Bluebell - Really timeless. If you look closely at the petals, the fabric has a lovely blue/white stripe pattern that I would tease out elsewhere. Oh my gosh, I love them all! 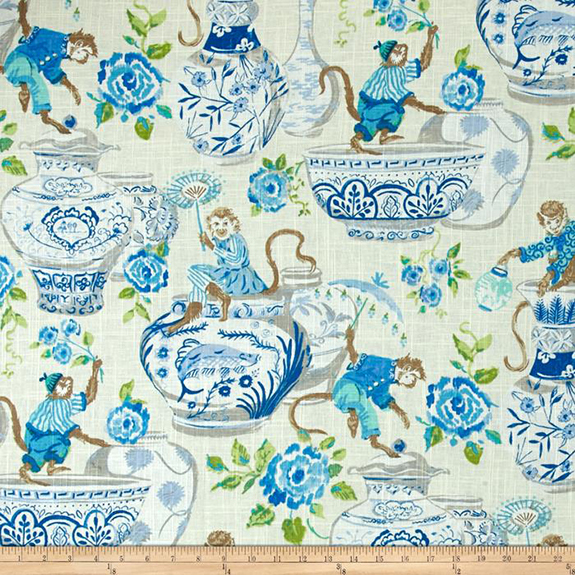 Monkeys in the breakfast nook - really cute! Thanks for doing the "leg work". Will there be any new nursery decor coming up? Have you seen the monkeys in the red colors? Love these. Daniela, I found your blog just recently and am hooked! A few weeks ago I purchased a vintage dining room set and wanted something fun and whimsical to recover the seats with. When I saw this post and the Monkey Jars Tide Pool, I knew that was it! I've just ordered it. Thanks! Wool is the most common recycled fabric, but cotton can be recycled and made into industrial wiping cloths, mattress filling, and carpet backing.